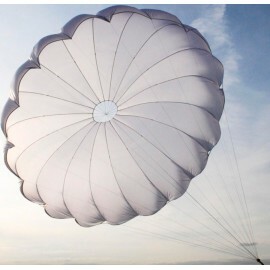 Reserve chute with a central line, matches all the requirements. We used only attested technologies. The quality is most important. The flawless function is maintained during all regimes of flight. 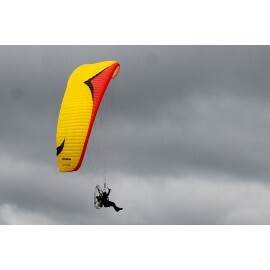 Axis’s new PPG reflex-glider. It is primarily designed for intermediate-to-experienced pilots who already have some experience with reflex technology of modern PPG wings and is also suitable for those who fly lower categories competitions. 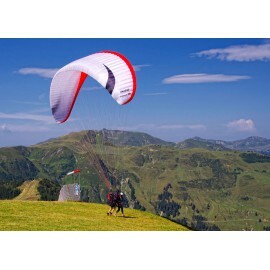 A new high-performance tandem from Axis is designed mainly for long XC-flights. 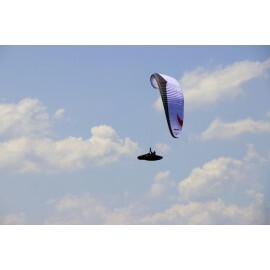 The Venus SC is our new high performance wing on EN-C category. With its 6.6 A/R, its 64 cells, its aggressive shark nose, its mini-ribs and other technologies it will get you always further and always faster. The new basic/beginners Axis glider. It is still primarily designed for schools and beginners. But thanks to the latest technology, it has now significantly more performance than its highly successful predecessor Compact 2, from which it has kept the highest possible level of passive safety. 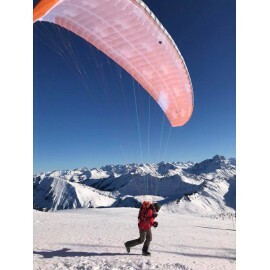 The Axis Sirius 2 Tandem paraglider is intended for the widest possible range of pilots, but it is also designed for professionals who fly tandems commercially. Sirius 2 is certified in EN-B category. It is primarily designed for less experienced to very advance novice pilots flying XC-flights, but also appeals to experienced pilots, thanks to its relatively high performance.